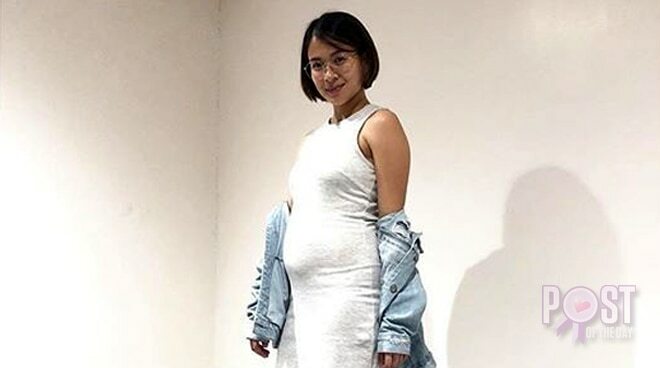 LJ Reyes expressed her elation now that she is 25 weeks pregnant. The actress posted a snapshot of her baby bump on Instagram on Thursday, October 12. "So someone decided to SHOW up today! Noticed her extra growth today and it just got me so excited!! !😬 kahit na medyo nafifeel ko na na bumabagal na ako maglakad!" she wrote. She shared that she has been experiencing new symptoms as a pregnant woman but she is happily embracing them all. "So many preggo symptoms but I’d gladly go through it all for you our baby girl!❤️ will share these symptoms and what helped me on my YouTube channel soon," she posted. It was in August when Paolo Contis, LJ's longtime partner, announced on social media that the actress will be having their baby. On September, the couple had a gender reveal party where they found out that they will have a baby girl.